The party was a bit tiring for some, but thankfully a feather duster was put to good use. 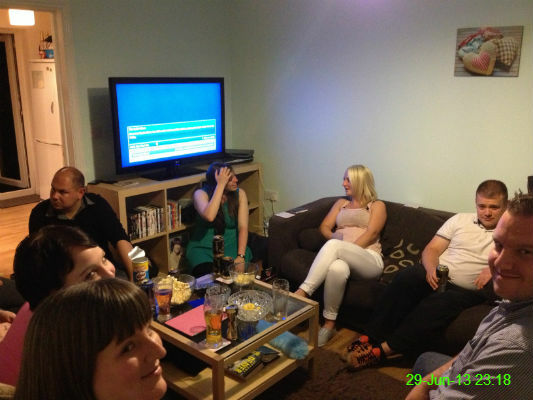 A group of us went round to Ali's for a bit of a party. 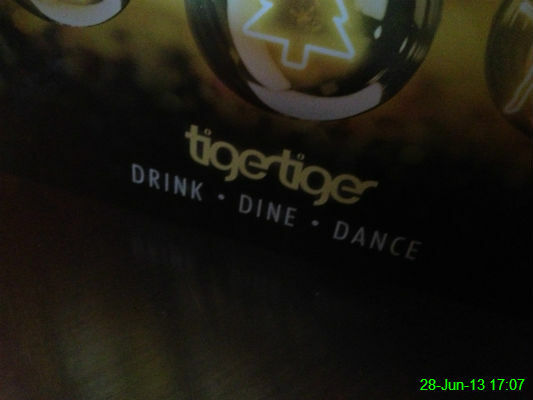 It's become a work tradition to have a meal at Tiger Tiger when someone leaves (of course this is nothing to do with there being 50% off all food) so we all gathered to say goodbye to Susan. 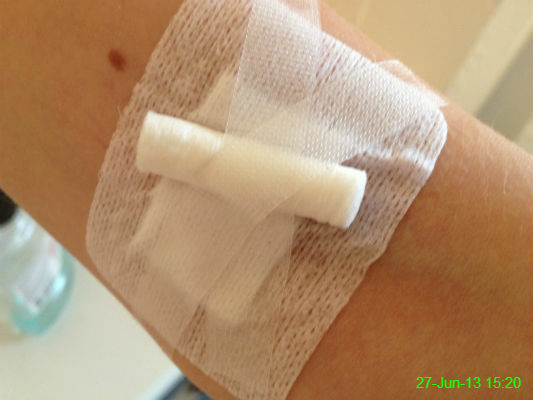 I went to give my 9th blood donation. It always makes me feel good but this white thing used to cover the needle mark totally reminds me of one of those candy cigarettes from when I was a child. 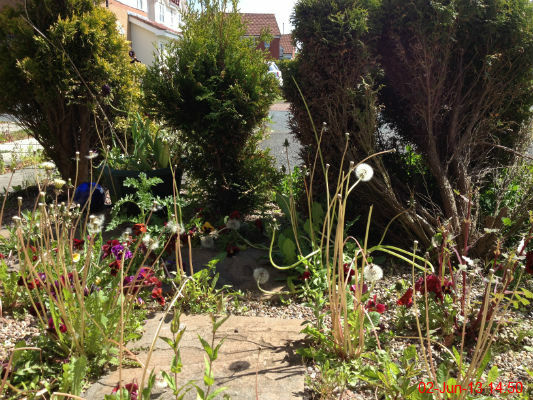 With some initial advice and assistance from Chris, I spent my first ever afternoon gardening. I really enjoyed it, and although it'll be a long process, phase one (rip everything out) is nicely underway. 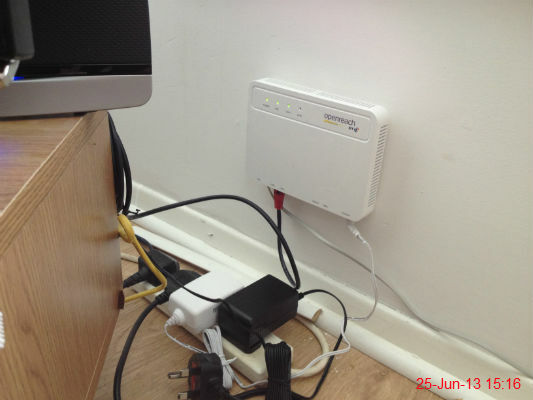 An engineer came over to change our internet to BT and we're looking forward to some much better speeds out of the "Home Hub 4" which is the shiny black box just to the left of the picture. 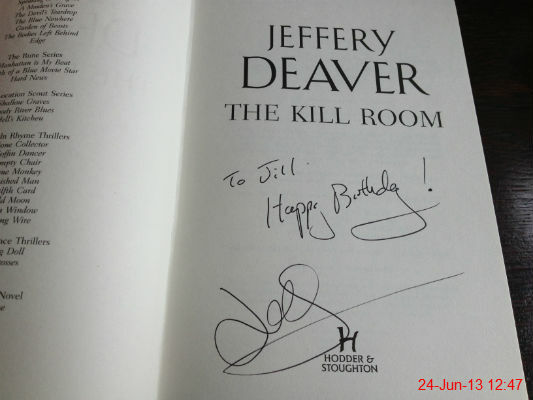 I spent my birthday meeting one of my favourite crime authors, Jeffery Deaver, who kindly wrote "happy birthday" in a copy of his new book. 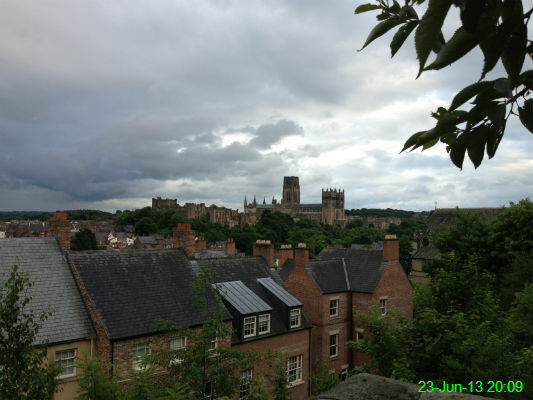 Ali and I went for drinks in Durham to celebrate my birthday, as she hadn't been before. We went round to a barbecue at Katy and Phil's. 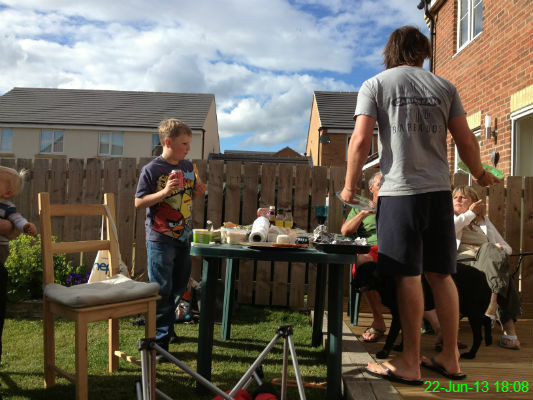 The weather was nicer than expected and there was plenty food and drink so everybody had a brilliant time. 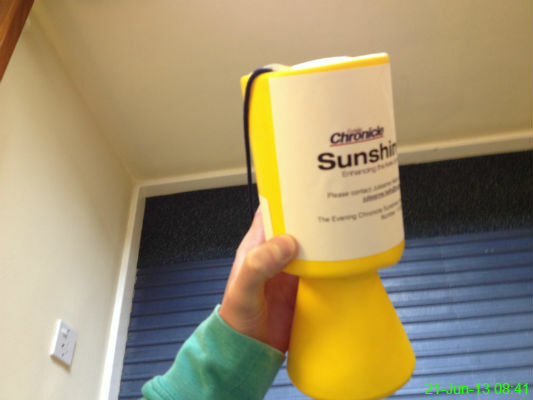 We had a banana themed dress down day at work in aid of the Sunshine Fund so everyone had to wear something yellow. Good thing I recently (6 June) bought a suitable t-shirt! 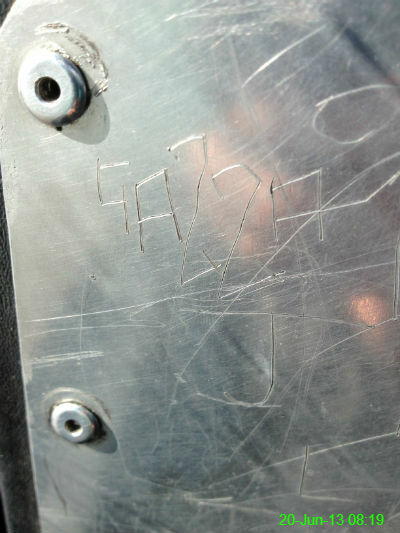 Someone had scraped what looked like 'Gazza' into the back of the seat in front of me on the bus this morning. I wonder if it was the alcoholic ex-footballer? I got paid today and since my bank account was in such disarray, I had to walk to the cash machine so that I could withdraw money to pay for my bus ticket. 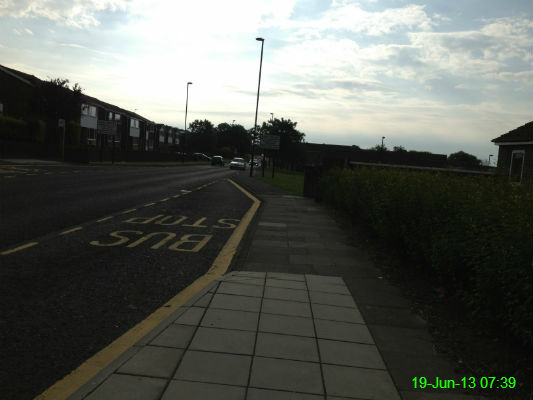 This meant I got on the bus a few stops earlier than usual, in East Bailey. 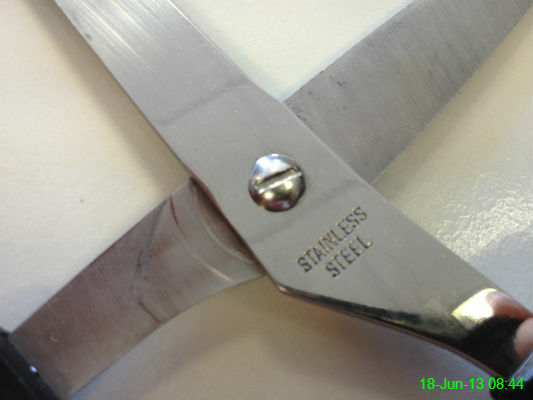 When I got to work our emails weren't working so with nothing better to do, I stared blankly at my scissors for a bit. 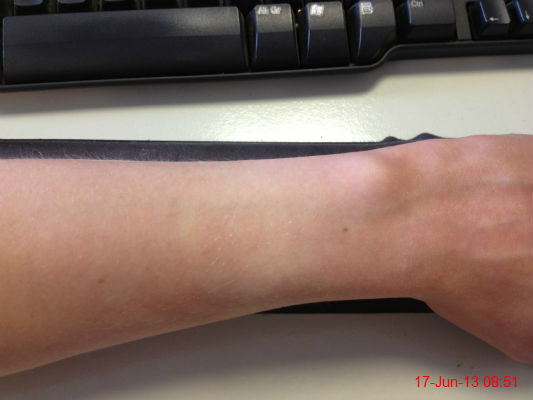 The area where my watch was yesterday is ever so slightly paler than the rest of my arm. That counts as a tan to me! 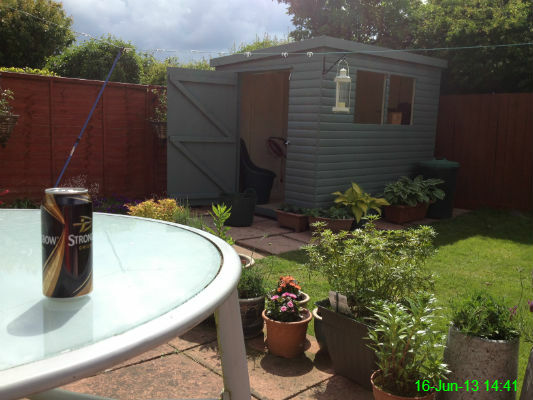 Mam and Chris have a new shed, so after Sunday dinner I sat in the garden and admired it (with a can of Strongbow I sneakily located). 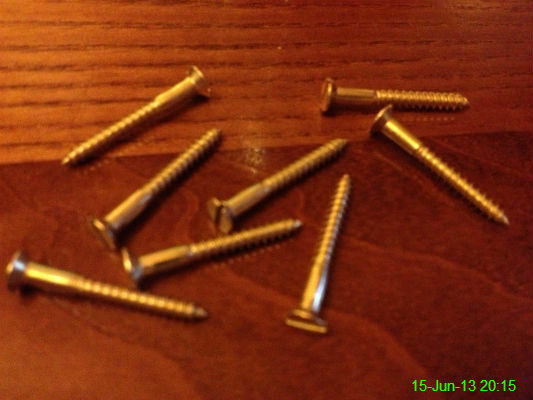 Dad found these 8 screws in his shirt pocket when we were at the pub but couldn't remember why they were there. 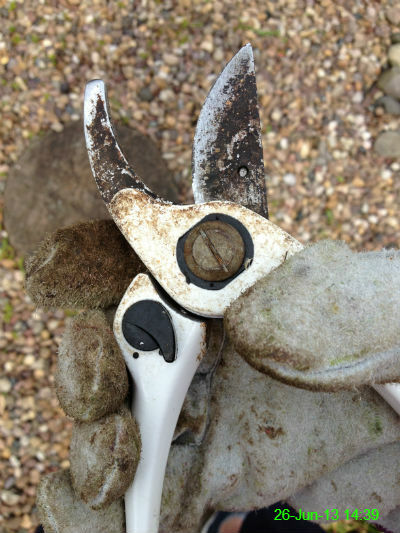 I like things to fidget with though, so I found them quite useful. That's how I'd describe the one setting (other than freezing cold) which is available on our shower since it went "bang" the other day. 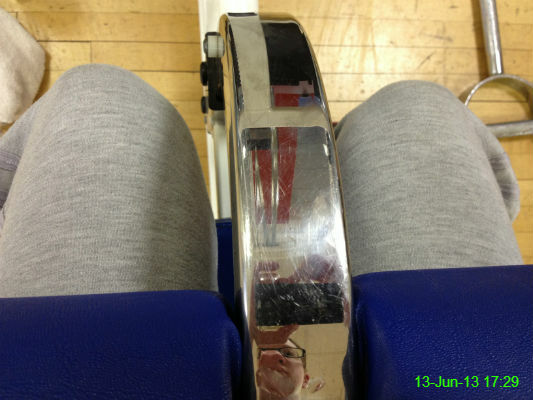 These knee pads are to hold my legs down when using the lat pulldown machine at the gym. 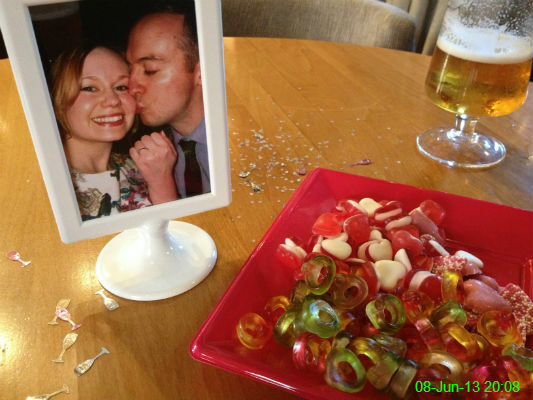 I feel like I've taken this photo before, so apologies if I have, but it was either that or a picture of the curry I had for tea - and I've definitely done that way too many times already. 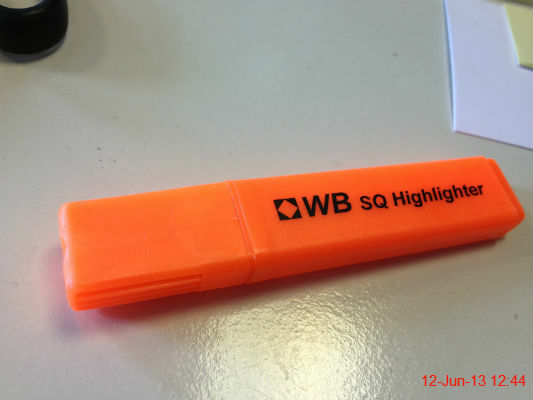 This photo doesn't really demonstrate just how RIDICULOUSLY BRIGHT this highlighter is. 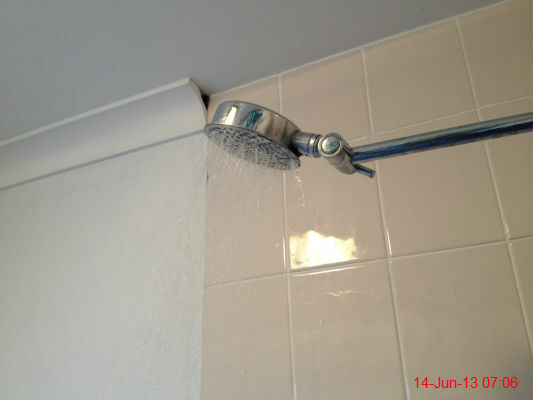 I know that's sort of the point, but honestly it's excessive! 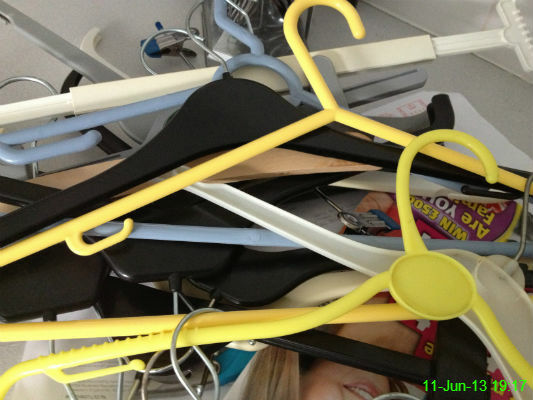 After a very busy few days, it was back down to earth with some washing to hang up. 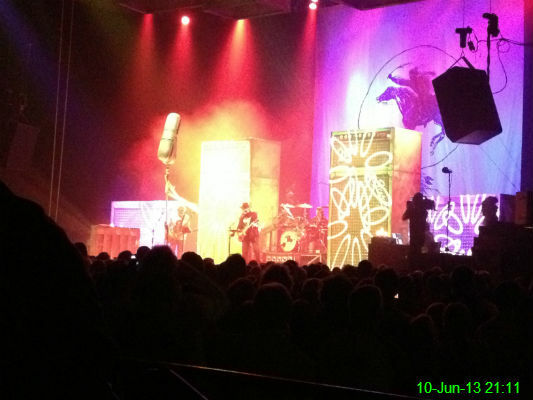 I went with Mam, Chris and Auntie Sue to Newcastle Arena to see Neil Young. I was absolutely over the moon to hear Rockin' in the Free World as an encore, as I really didn't expect them to play it! The song has been one of my favourites ever since I saw a video of him performing it with Pearl Jam, so it was quite a special moment. 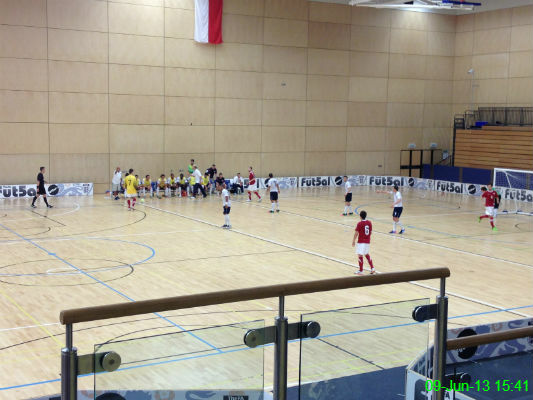 We went to a futsal tournament at Northumbria University's Sport Central. In this game, Poland were facing USA and at 3-2 down, Poland threw on a rush goalkeeper (something I haven't seen since playing football with friends as a child) in an attempt to level the score. It didn't work, as the keeper (in yellow) watched from the left wing as USA scored a 4th. Matt and Abby recently got engaged and we went to their party to celebrate. 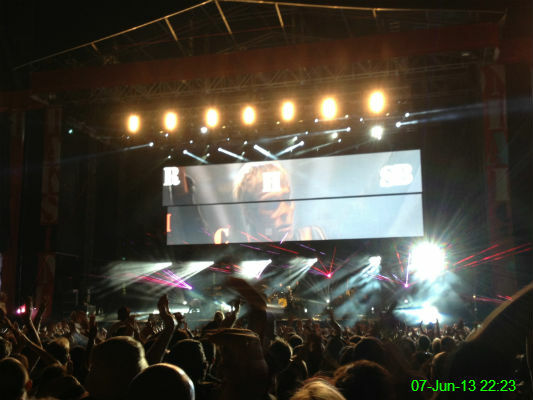 We went down to Finsbury Park in London to see The Stone Roses, who were fantastic. 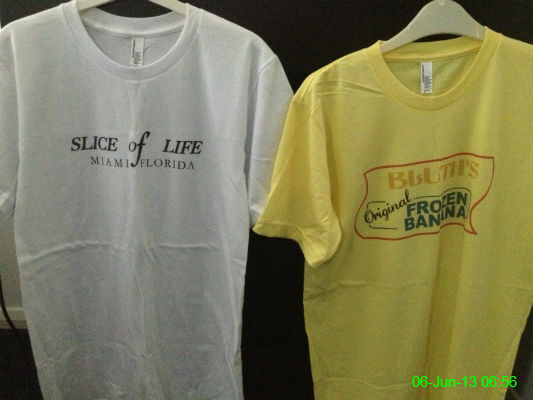 A couple of new t-shirts, to demonstrate my love for some of my favourite TV shows: Dexter (on the left) and Arrested Development. 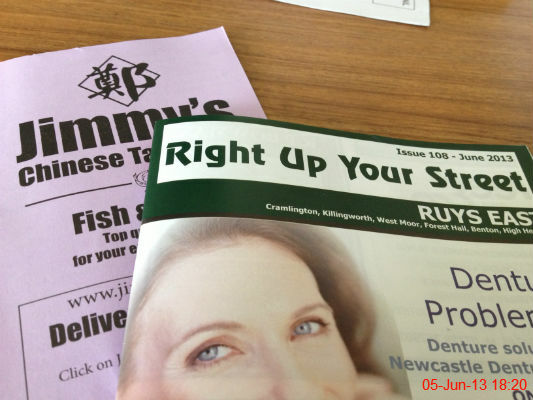 The latest round of junk mail to come through the letterbox. Anyone who orders fish and chips from a Chinese takeaway needs their head investigating. 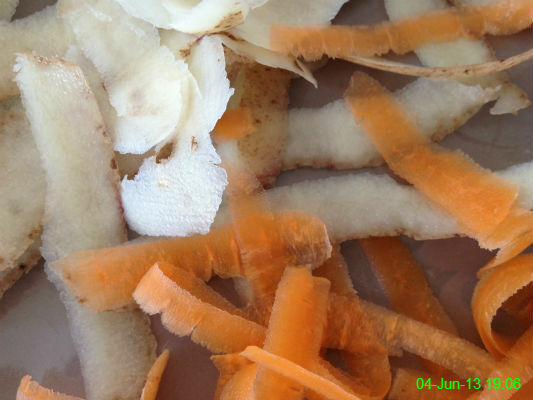 The results of a few minutes of peeling potatoes and carrots. 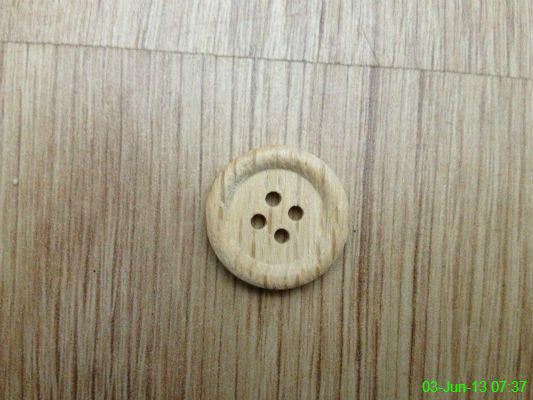 3 June 2013: Where's the Button? This button fell off my slippers and it seems to blend in perfectly with the living room floor. I think I may need to learn the basics of gardening. It's starting to look a little overgrown out there. 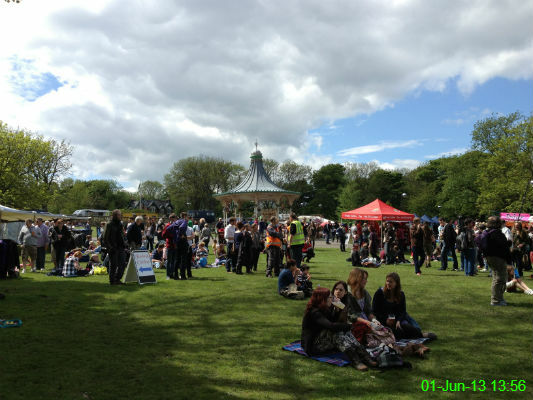 We went for a walk around the Green Festival at Leazes Park. It was nice to do something different but I don't think the hippy lifestyle is for me.